Berlin, 2089. In this reality, the Cold War never ended and Germany is still divided. A nuclear strike destroys Berlin, which both East and West deny responsibility for. You, a time-traveling agent working for an organization called STASIS, are sent back in time to find who was responsible for the nuclear attack, stop it before it happens, and hopefully put an end to the Cold War for good. All Walls Must Fall is an action-tactics game from developer inbetweengames, born of a Kickstarter project and having spent a stint in early access on Steam, now recently released in full. Given the time travel nature of the story, things can get a bit confusing. In one mission, you’re sent to kill a target, only to be sent further back in time in the next mission to interrogate the very same man. You get to choose the order of missions to complete, so it’s best to follow one chain to completion before tackling another to keep a sharp mind about it. All Walls Must Fall features some overtly homosexual themes, as all of the levels take place in gay clubs—patrons are men in various states of undress. Flirting with bartenders and other characters is one viable method in the conversation minigames, and knowledge of things such as handkerchief code can come into play. It’s nice to see a game not shy away from themes the developers want to portray, though it’s bound to ruffle a few choice feathers. 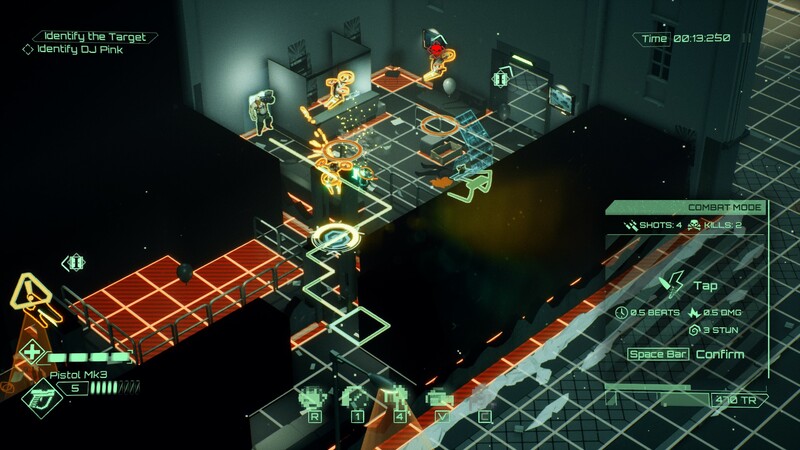 The combat system in All Walls Must Fall is quite unique—at its base, it borrows from other isometric shooters, such as X-COM and the Shadowrun games (moving in square tiles, a cover system, etc). When combat begins, time is paused and a single action (dash, shoot, reload) is chosen and locked in, then played out in real-time as enemies all act at once before time pauses again and a new action is chosen. In this blend of real-time and turn-based, things can get deadly going up against multiple enemies. If there’s an unfavorable outcome, you can choose to rewind time taken from your Time Resource pool, which is slowly, constantly depleting. You can get Time Resource from exploring the level and completing combat encounters, and certain actions, such as hacking, permanently reduce your Time Resource cap for the remainder of the level. Run out of Time Resource and you can’t rewind anymore. Between missions, there’s an upgrade screen with a variety of time powers and weapons to purchase and upgrade, but I never found myself upgrading anything beyond the standard health upgrades and the starting pistol, so it all felt like wasted potential. While the clubs are a unique setting, I would have loved to explore more of the “tech-noir” (in the developer’s words) Berlin—gritty streets and alleys, military bases, and so on. The Kickstarter raised about $45,000, and it’s impressive what they did with it, but their stretch goal that would have added a second act to the game, set in West Germany, wasn’t met. Another consequence is the game’s relatively short runtime; the game can be finished in about five hours. That being said, if the size of the game had doubled, I don’t know if I could have handled another five hours of clubs—after a while they began to blend together, even though they are procedurally generated each campaign. Overall, I wish I could enjoy the game more than I did. Every level essentially boils down the same technique of sneaking in without setting off any alarms, trying to avoid patrolling enemies, then completing dialogue minigames that too often feel completely random, with many roads inevitably leading to combat, forcing you to shoot your way out of the club. Rinse and repeat. 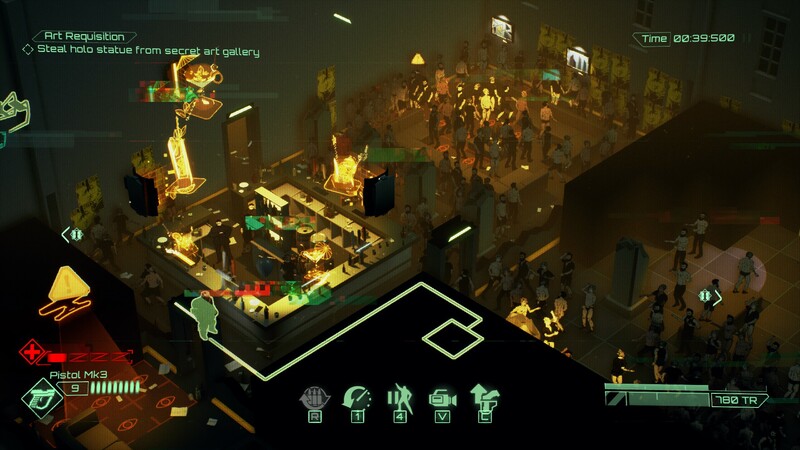 Despite simmering in Early Access, All Walls Must Fall needs more time for upgrades. The visuals and soundtrack and absolutely on point, but the gameplay has to be up to snuff, too. All Walls Must Fall is available on Steam.